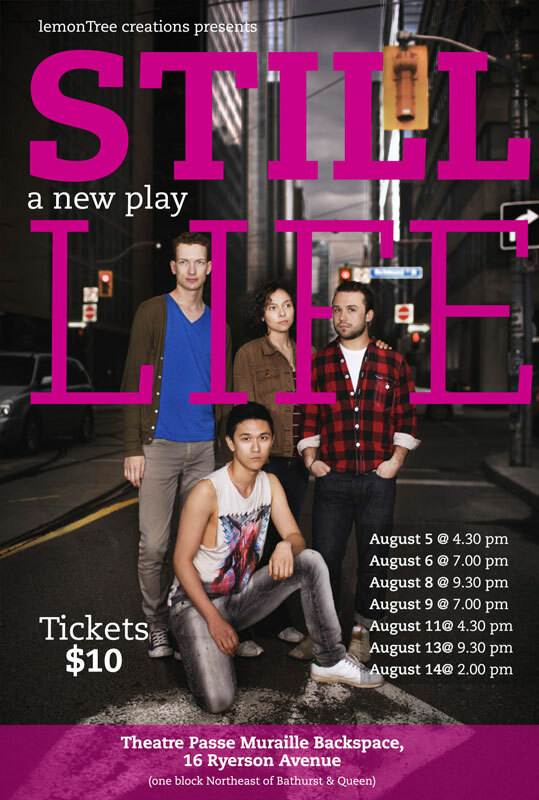 STILL LIFE was inspired by the events surrounding the mysterious death on the streets of Toronto along with the collective member’s personal lives. Through the lens of a gay bashing, STILL LIFE explores how friends and strangers are connected by a night shared at a hospital. Told through a series of photographic moments, the piece weaves hyper realistic scenes with abstract movements, delicately building the story of four 20-somethings. When confronted by their own truth these characters reveal the joys and struggles of being queer in Toronto today. 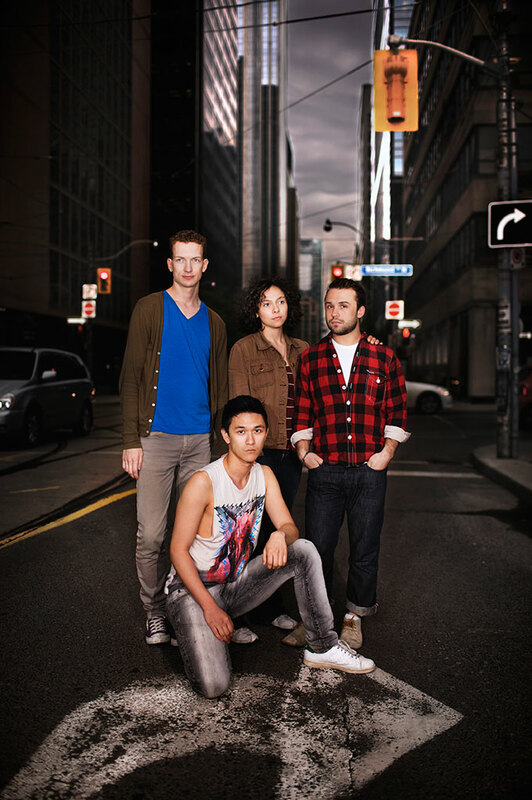 Developed with support from Ontario Arts Council’s Theatre Creators’ Reserve Grant through Cabaret Company [Sky Gilbert, AD] and during a Canadian Stage Gym Team Residency. "How do you make queer theatre personal? You create a collective." James MacLean, Tawiah M’carthy, Lana Sugarman, Lindsey Clark.